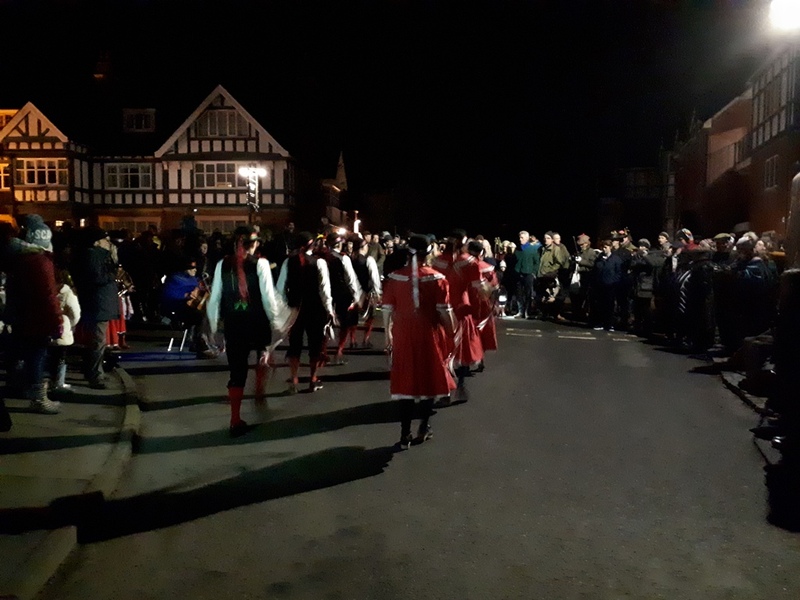 For one night a year our village turns truly pagan! These are pictures from last weekend as I've not been 100% this week and the kids and wife have been the same (full of cold and sore throats). The wassail was really quite eventful though. 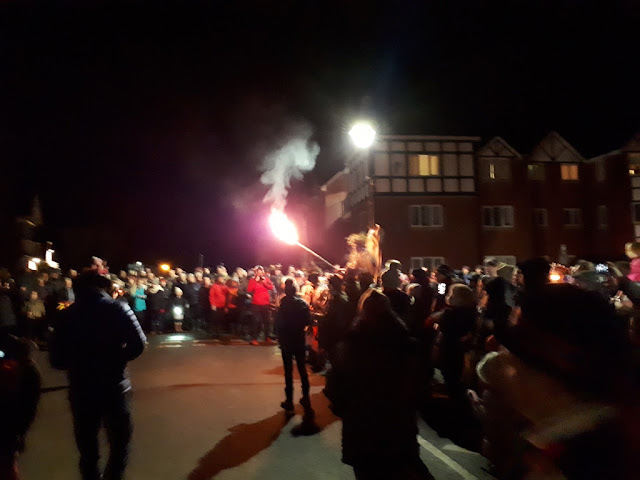 There must have been three hundred people meeting in the village centre and then walking down to the community orchards with flaming torches. The guy giving the speech at the start even set his hat on fire! There were Morris dancers as well as entertainment to start with as well. 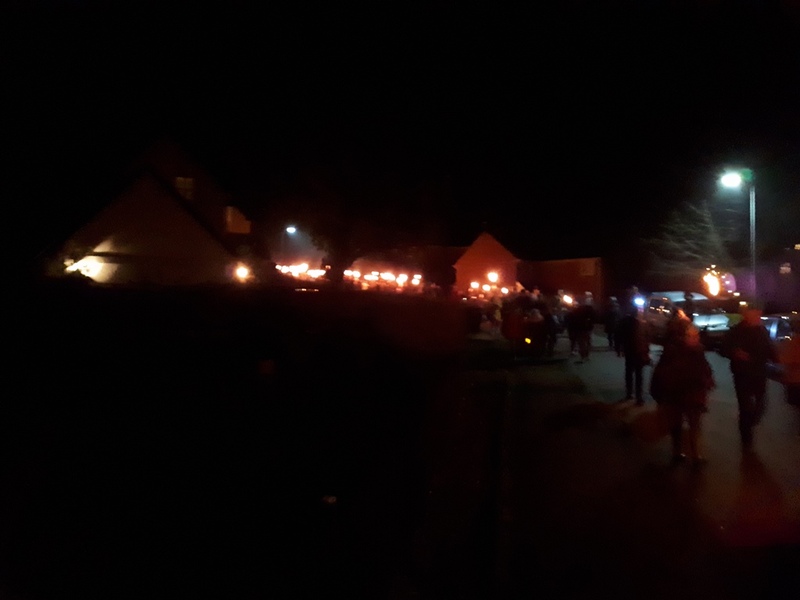 To see the flaming torches stretched out for half a mile and lighting the whole way was impressive. In the past I should imagine it was really something to look forward to. 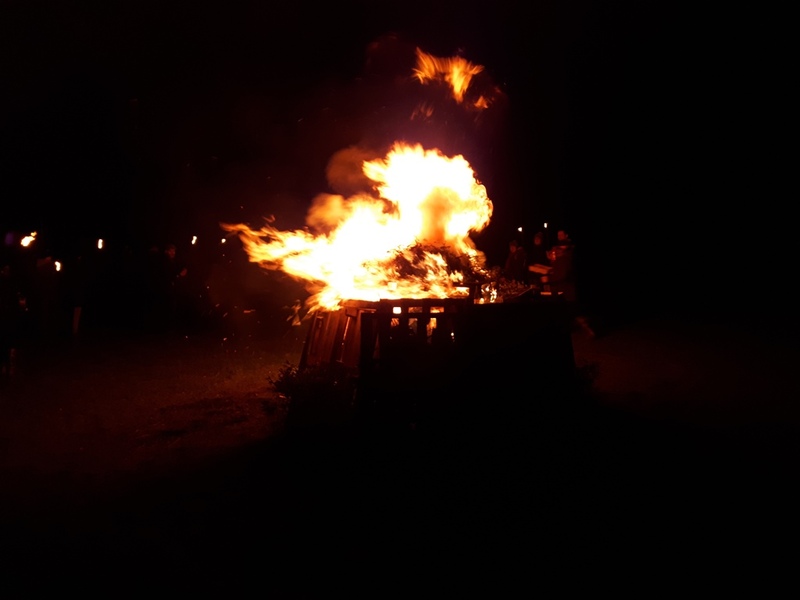 We banished the evil spirits and secured a good harvest for this year, they used fireworks instead of shotguns to get he bad spirits out of the trees. Unfortunately they let them off about 5ft away from my friends and me and made 10 children cry - nevermind! It was certainly an eventful evening and great fun to meet up with my friends in the village. This has real potential as the kids get older where we might be able to have more than one drink! We'll certainly be going again, but I'll be a bit more alert when the fireworks are being lit! Do you Wassail where you are? I hope it's successful and your crops florish this year. We Wassailed over here in France. Just a few of us, and back on the 6th Jan.
We did every year in our village when I was a child. My God, Pagans! I thought I was the only one left. Do they show the television series "Vikings" over there? I bet you'd enjoy it, the ancient Anglo-Saxons figure prominently. I had never heard pf this, so sadly no. It lools like a wonderful time. Minus the crying little of course.